After acquiring a controlling interest in the ailing Maxwell Motor Company Walter P Chrysler phased out the company and absorbed it into his new firm, the Chrysler Corporation in Detroit in 1925. In addition to his namesake car company, Plymouth and Desoto Marques were created, and in 1928 Chrysler purchased Dodge. In the early thirties he had established a reputation for powerful, reliable, and occasionally sporty vehicles. 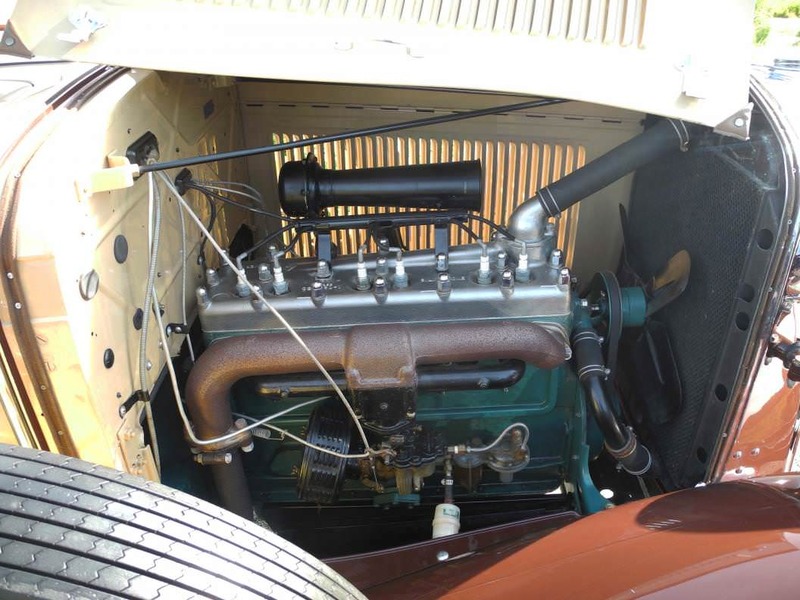 The CM Series in particular was a favorite among enthusiasts combining lightweight bodywork, a powerful six-cylinder engine and an able chassis. 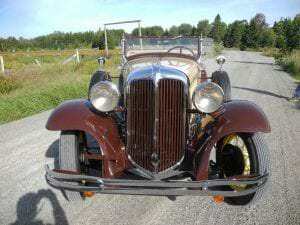 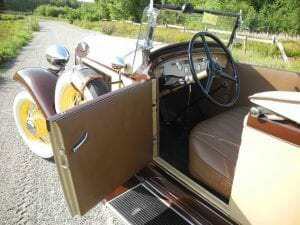 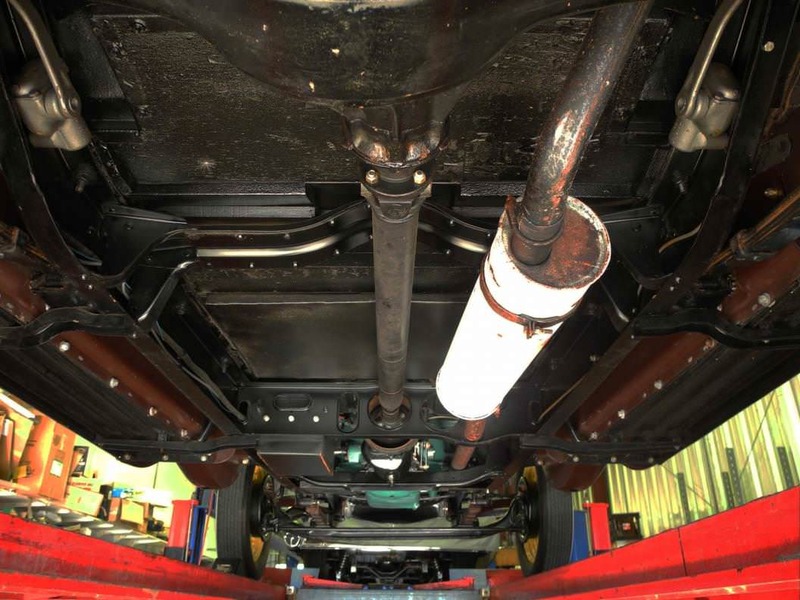 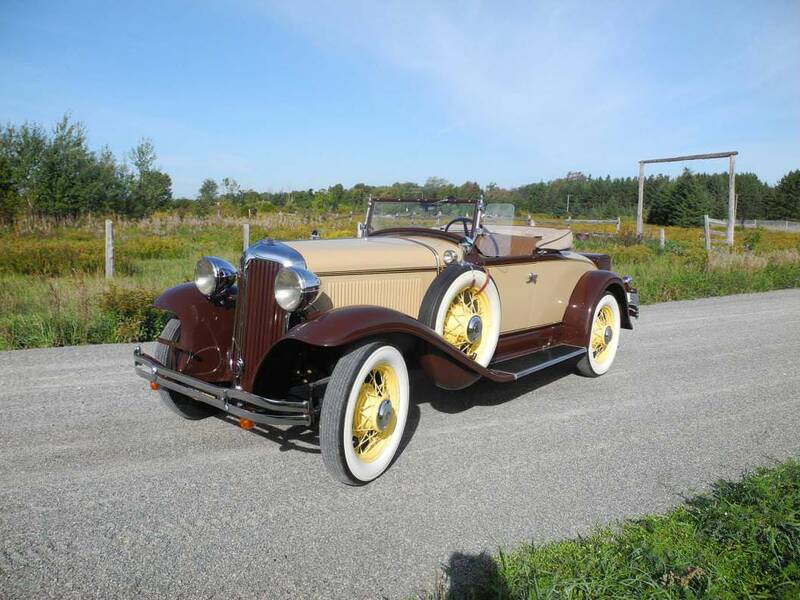 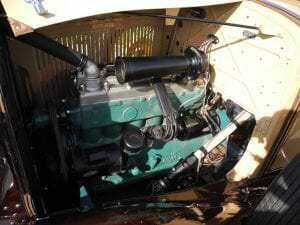 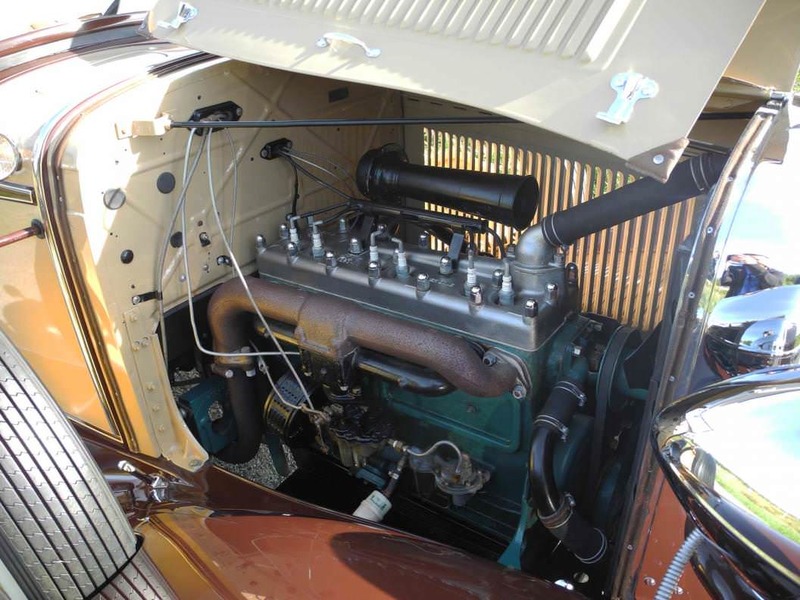 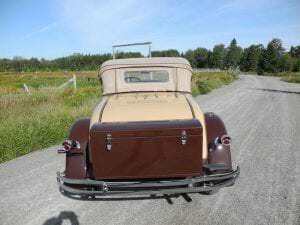 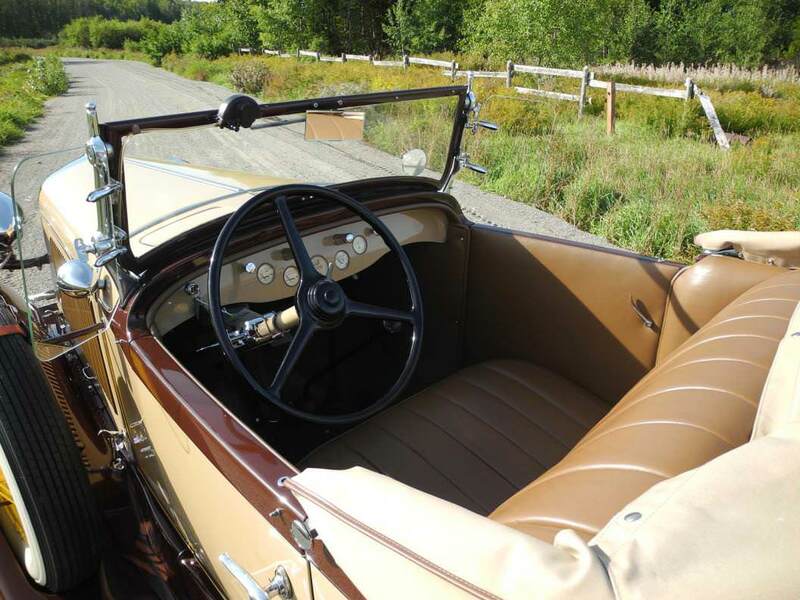 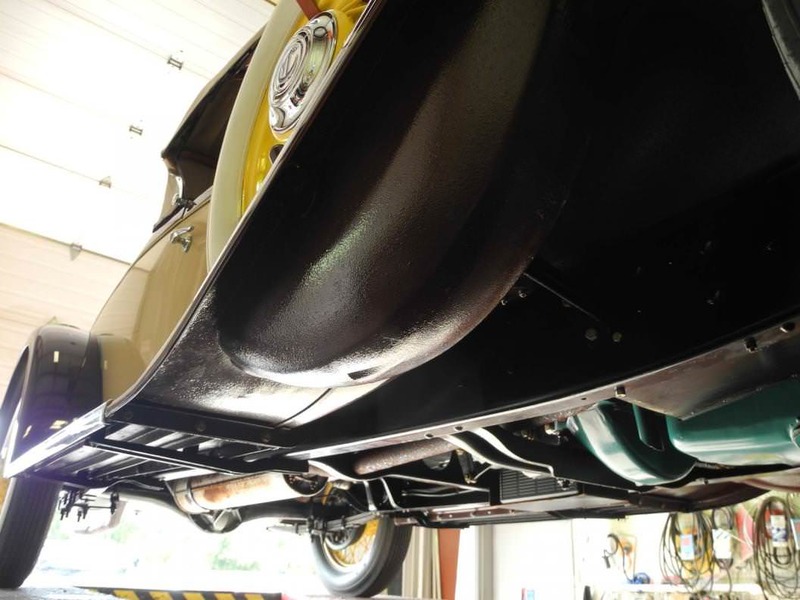 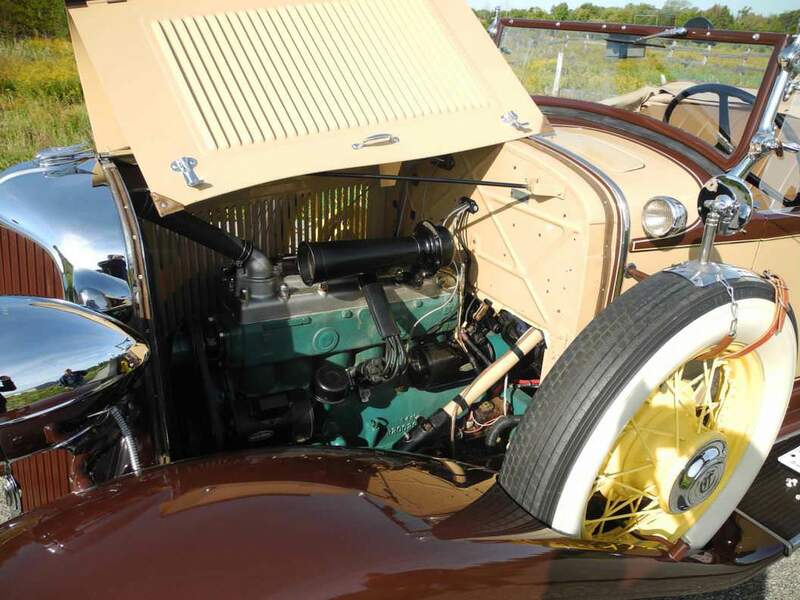 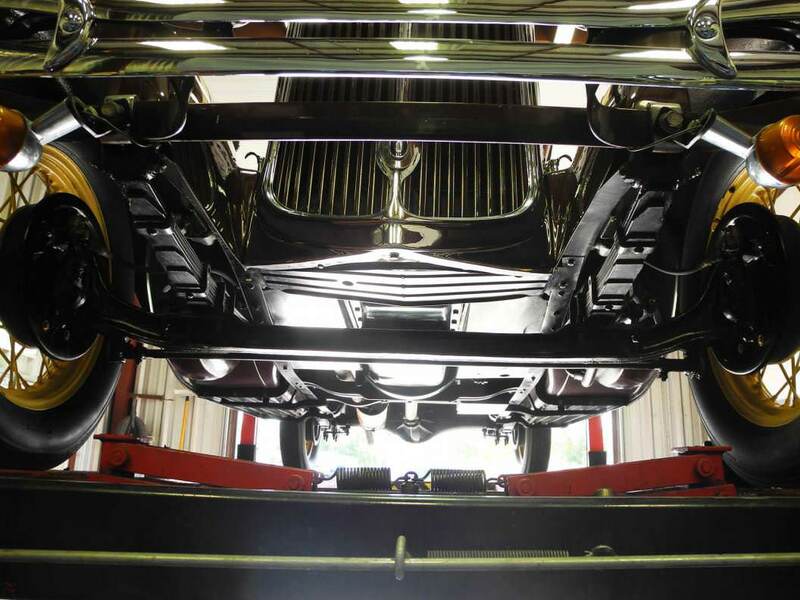 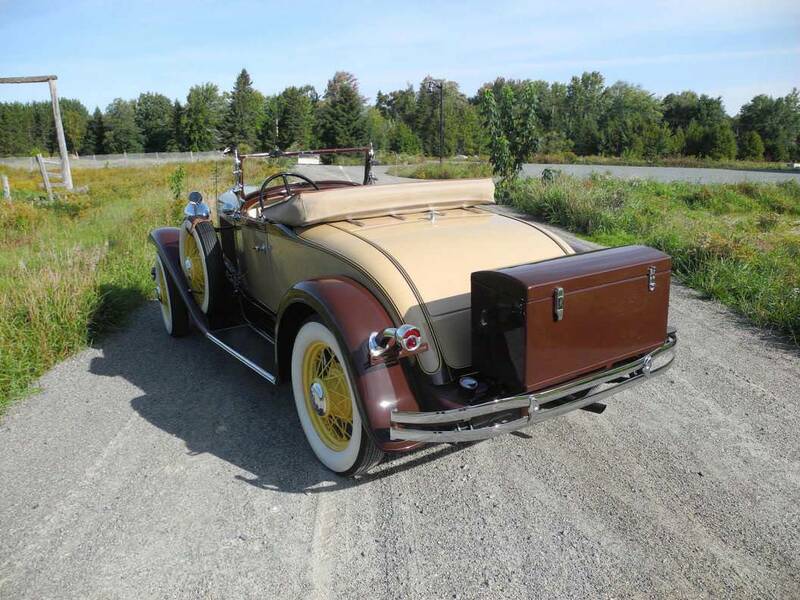 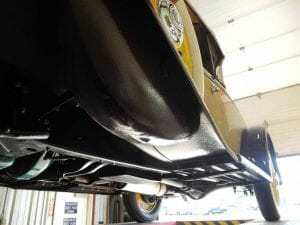 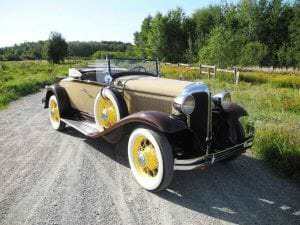 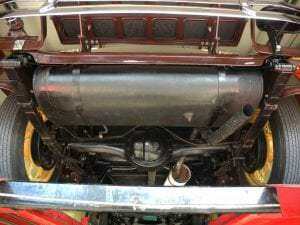 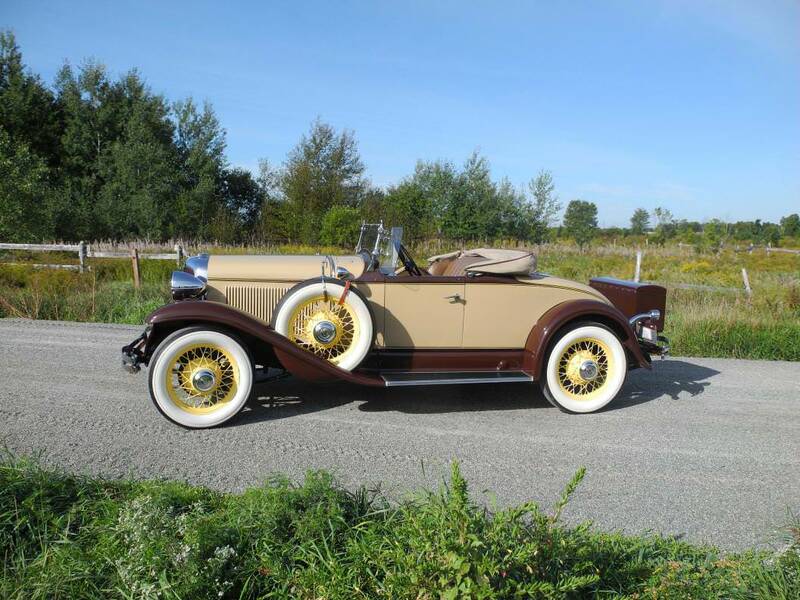 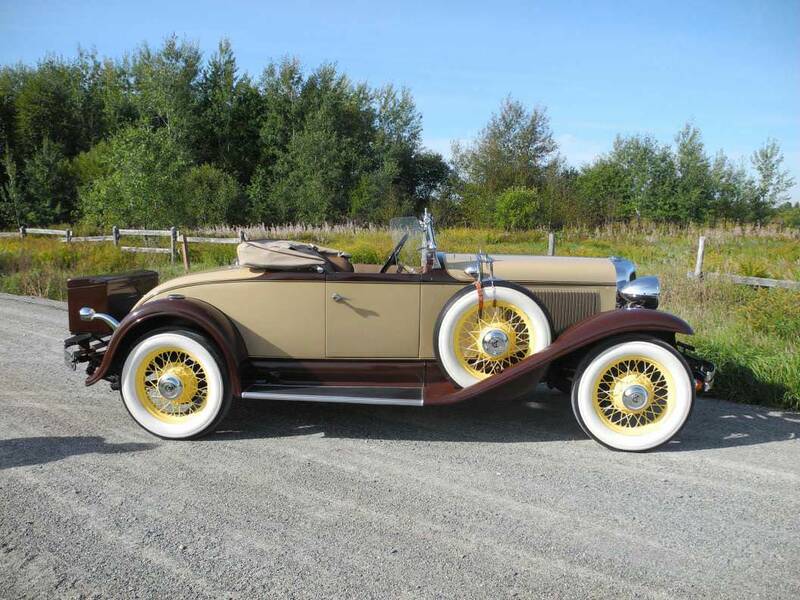 This magnificent four passenger roadster was the recipient of a full frame off nut and bolt restoration on a rust free example, even the ash wood in the body and doors was in amazing condition. 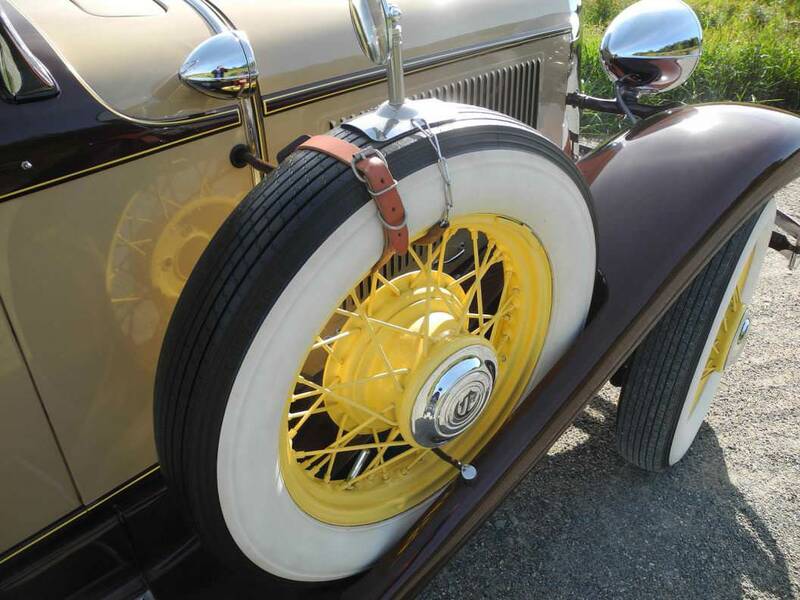 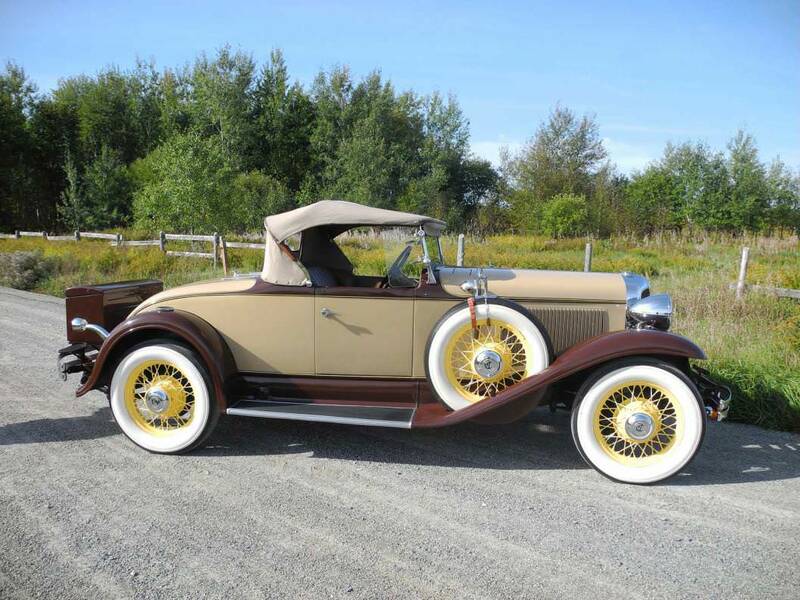 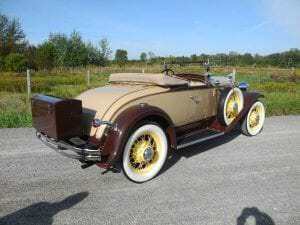 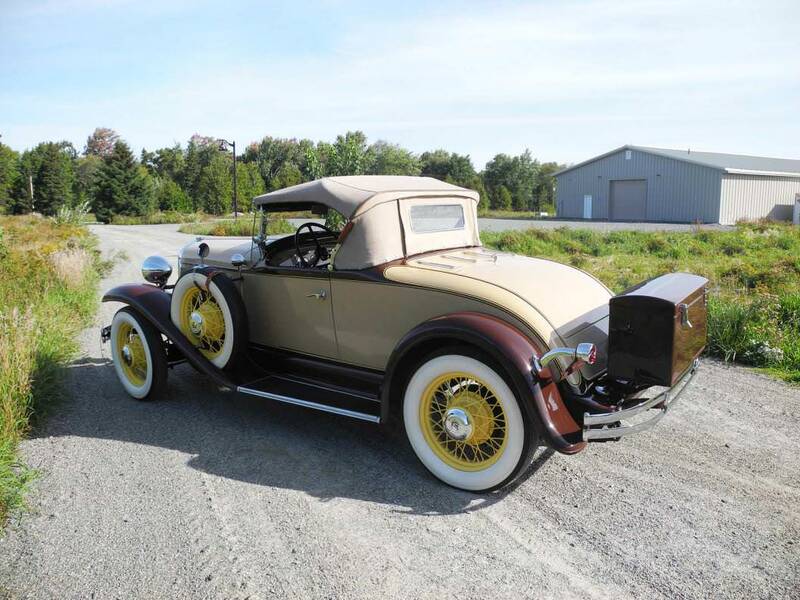 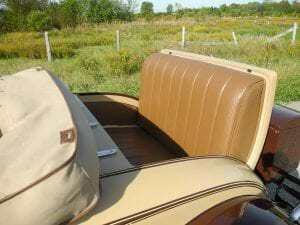 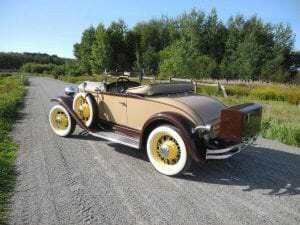 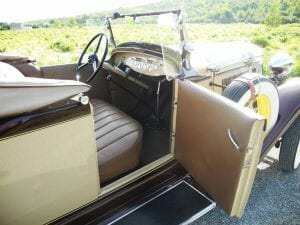 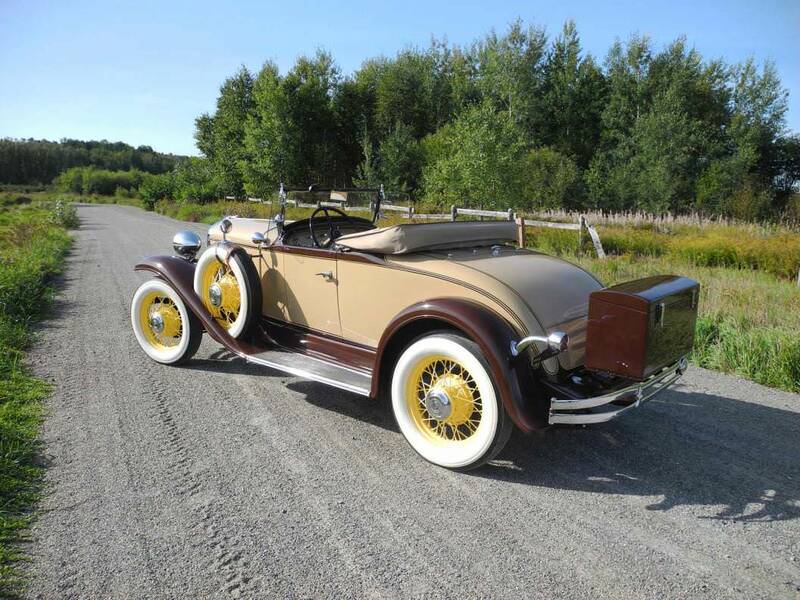 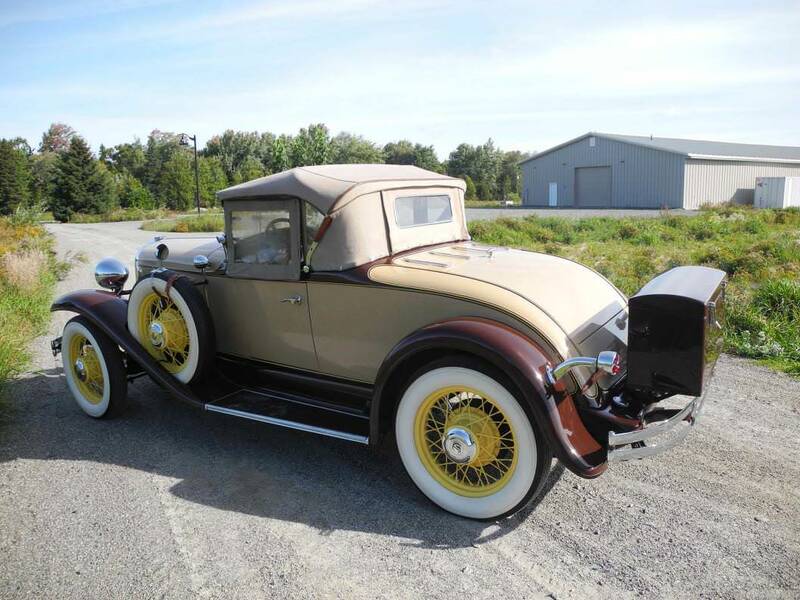 Finished in beautiful two tone beige/brown enhanced with painted on yellow pin striping, matching leather upholstery for the interior and rumble seat. It’s furnished with dual side mounts, stay-fast convertible top, travel trunk, folding windshield, dual cowl lights and surrounded with show quality chrome garnishes. Equipped with Chrysler’s well known legendary L-head 217 cubic inch six cylinder engine and floor shifted three speed manual transmission, both perform flawlessly, four wheel hydraulic brakes, original wire spoke wheels in yellow with period correct Lester 5.25/5.50-19 wide white wall tires and added turn signals and seat belts for safety. Today they are highly prized by collectors who prefer to drive their automobiles rather than just look at them.